The Delhi High Court on Thursday commuted the death sentence of two of the three convicts in the 2009 Jigisha Ghosh murder case, while confirming the life term awarded by the trial court to the third convict as it held that the crime could not be characterised as the “rarest of rare” warranting the award of capital punishment. A bench of Justice S Muralidhar and Justice IS Mehta modified death sentence awarded to Ravi Kapoor and Amit Shukla, and upheld the life term awarded to third convict, Baljeet alias Poppy. Taking note of the fact that the trial court had awarded death to Ravi and Amit, considering their pre-sentence report (PSR) from the jail and holding them to be beyond reformation, the high court said, “behavior of a prisoner during his term as an under-trial cannot be a sufficient marker for his potential for reform and rehabilitation” since under-trial prisoners (UTPs) are not given the same work as convicts. The court said so was deciding the death reference and the appeals moved by the trio against their conviction. It also maintained as such the varying amounts of fine imposed by the trial court on the trio. The 28-year-old Jigisha was working as Operations Manager in Hewitt Associates Private and used to commute by office cab. On March 17, 2009, around 12 noon, she left her house in the office cab and was expected to return home at 4 am on March 18. When she did not return home, her family presumed she has overstayed in office in thenormal course of duty. However, when the office cab reached her house to pick her up the following day, Jigisha’s father realised there was something wrong. On March 19, 2009, Jigisha’s father inquired from her bank and learnt about cash withdrawals and that articles worth Rs 70,000 have been purchased from different stores using her debit card. When a police complaint was lodged, information was received that Jigisha’s body has been recovered in the area of Suraj Kund, Faridabad, by the local police. It was learnt that Jigisha was kidnapped from outside her house in south Delhi’s Vasant Vihar’s CPWD colony after the office cab had dropped her back on March 18. The convicts took her to the ATM to withdraw money and then murdered her. The purchase slips/ merchant copies of various stores showed the signatures of the convicts. They were convicted and sentenced for the offence by a trial court at Saket in 2016. The case had brought in focus safety of women working late into the night and being dropped by office cabs. Considering the circumstantial evidence which proved the involvement of the trio in the crime, the bench said, “In the present case, it is not clear as to which of the three accused - whether all of them or only some of them - actually committed the murder of the deceased. What is proved beyond doubt is that all of them were involved in the crime. Therefore, to differentiate, as the trial Court has done, between the accused by awarding the death penalty to two of them may also not be justified”. “Homicidal killings are deeply troubling. They are reflective of the base instincts of human behaviour. Some homicidal killings are in degree more diabolical, repulsive and shocking than others. Section 302 IPC offers only two choices for punishment. Life imprisonment or the death penalty. It is this limited option that has driven the Supreme Court to devise the “rarest of rare” test. “The decisions from Bachan Singh v. State of Punjab onwards underscored that life sentence is the rule and death sentence the exception. 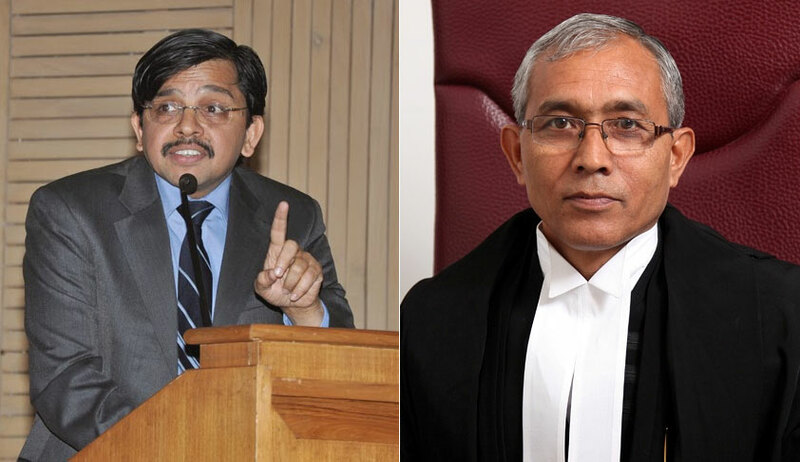 Having carefully considered the entire case from all perspectives, the Court is not satisfied that the crime here can be characterised as “rarest of rare” that warrants the award of the death penalty for A-1 (Ravi Kapoor) and A-2 (Amit Shukla),” said the court while modifying sentence (death) awarded to Ravi and Amit for the offence under section 302/34 IPC to one of imprisonment for life. Amit Shukla's counsel Amit Kumar said he had been maintaining all the while that it is not rarest of rare case and there was no evidence of individual culpability to warrant death for his client and life for the other. The Sessions court had relied upon the pre-sentence report of the three accused while deciding the quantum of sentence. It had concluded that neither Ravi nor Amit were capable of reform or rehabilitation. Turning to this aspect, the high court said, “Their conduct in jail as under-trials was a major factor that weighed with the trial court”. “At this juncture, it is necessary to observe that as long as the trial is underway, the prisoner is an “under-trial” and is not given the same tasks as a convict might be. Further, the under-trial wards in Tihar Jail are usually overcrowded by well over a 100%. It is mentioned in the written submissions of the learned Special Public Prosecutor that A-1 (Ravi) was a ‘sahayak munshi’ for about 14 months by the time of sentencing and during that period his conduct was satisfactory. “In any event, the behaviour of a prisoner during his term as an under trial cannot be a sufficient marker for his potential for reform and rehabilitation. Likewise with A-1 (Ravi) whose jail conduct was found during his under-trial stint to be unsatisfactory. It might be unsafe to conclusively determine, even while the prisoner is an under-trial, that his conduct in prison can indicate his capacity for reformation. Such a determination would require observing the prisoner over some periods of time separated sufficiently in time and circumstance,” it said.